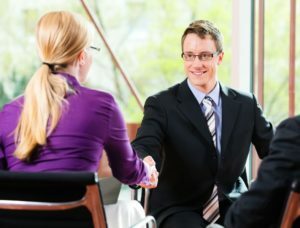 STAR interview is a fancy name for something that has been around for years–the situational and behavioral interviewing for a job. Asking about various situations from your past (mostly work-related), interviewers try to understand your way of thinking, attitude to work, and how you would approach similar situations in your new job. Before we look at some sample questions and answers, let me explain the abbreviation STAR. S – Situation from the past, mostly work-related, relevant for the job you try to get. In some cases (entry level jobs) the situation can relate to your personal life, or studies. The situation can also be fictive, and they can ask you what you would do, instead of what you really did in the situation. Nevertheless, future or past, the concept remains the same :). T – Task you had to accomplish, the task you were (would be) supposed to accomplish in a given situation (S). Basically your goal, the target, the desired result. A – Action you took, will take, or would take, in the situation (S), to accomplish your task (T) which is described in the particular interview question. This is the point where you explain your way of thinking, and the course of action, step by step. 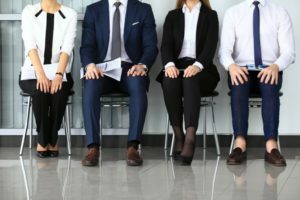 While the letters “S” and “T” are for the employer, action is where your interview answer starts. It is becoming a little confusing, isn’t it? Let’s have a look at some examples that will help you to understand it better. 1. Situation (S): Your boss made a wrong decision and you spotted their mistake. The wrong decision can lead to a substantial financial loss for the company. 2. Task (T): You should try your best to avoid the loss. What would you do? I would ask the boss to have a look at the papers together with me. We would go through them, and I would try to help them to spot the mistake, without pointing it out. They would find the mistake, and remedy it, without feeling embarrassed by me showing them the mistake. Only if they did not find the mistake while studying the papers with me, I would tell them, in a most polite way. 4. Result (R): The company avoided the financial loss, the boss kept their professionalism and authority in the eyes of the employees, and our relationship did not worsen. That is why I would approach the situation in a way I have just described to you. 1. Situation (S): Remember a time when you were seriously behind schedule in your job. 2. Task (T): Tell us what you did in order to take care of the heavy workload, and get back on schedule with your work. I remember when we were opening a new branch in Norway and I was responsible for the project. We should open it on first January 2014, but on fifteenth it still did not exist. What I did was that I divided the entire project to small tasks and identified the tasks that we did not accomplish, that blocked the completion of other tasks, and resulted into the big delay of the entire project. Mostly it went about administrative tasks, but also some smaller tasks that certain employees had not taken care of in time. I reassigned the tasks to people and talked personally to everyone to ensure that they knew what they were supposed to do, and how quickly they were supposed to do it. What is more, I took personal responsibility and charge of the most important tasks, though I was supposed only to manage the project at the beginning. 4. Result (R): Three weeks later, the new branch was up and running in Norway, with two new employees. Asking about your behavior in various work-related situations helps us to get a good grasp of your attitude to work, your way of thinking, as well as your readiness for a particular job. To convince us of the right attitude, and of your ability to handle different situations that you will deal with in your new job. These questions are not easy to answer, but they belong to nearly every job interview nowadays. Have a look at behavioral interview questions to see more, and to learn how to answer each of them. Thank you, we wish you good luck in your job search!